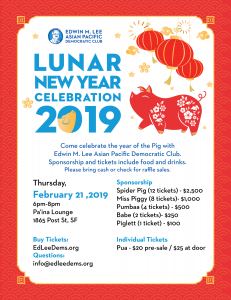 Come celebrate the year of the Pig with Edwin M. Lee Asian Pacific Democratic Club. 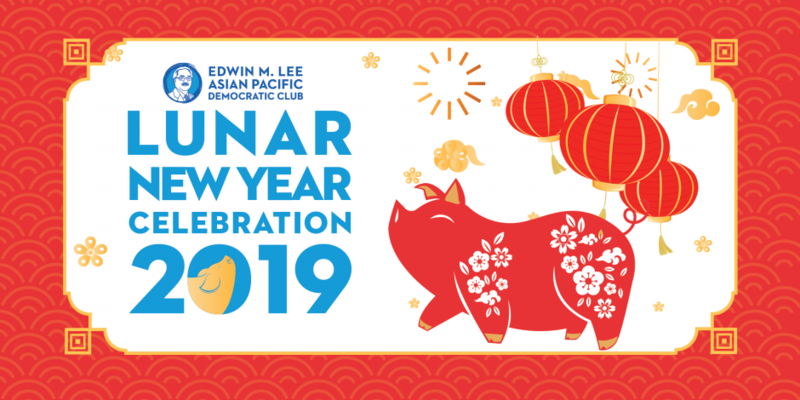 Sponsorship and tickets include food and drinks. Please bring cash or check for raffle sales.